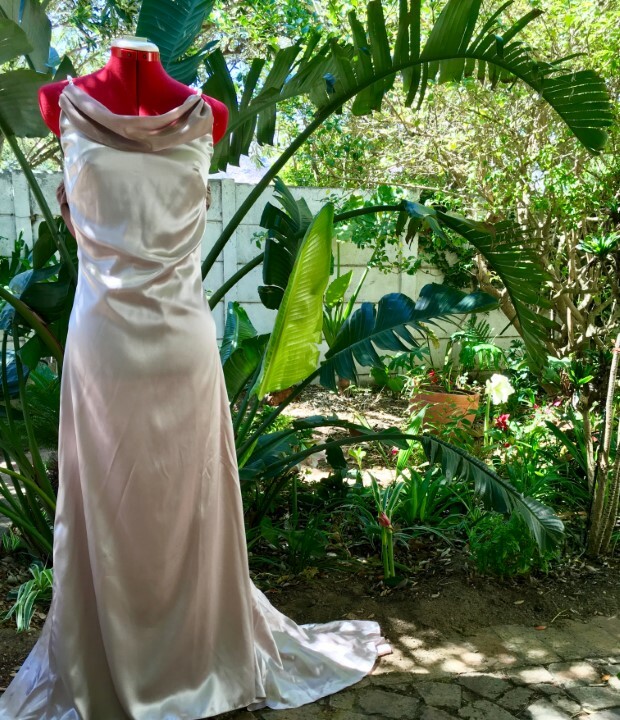 Jacqui’s wedding gown is made from a pink champagne Liquid Satin and is complimented with strings of pearls and Cationic Smog Chiffon. 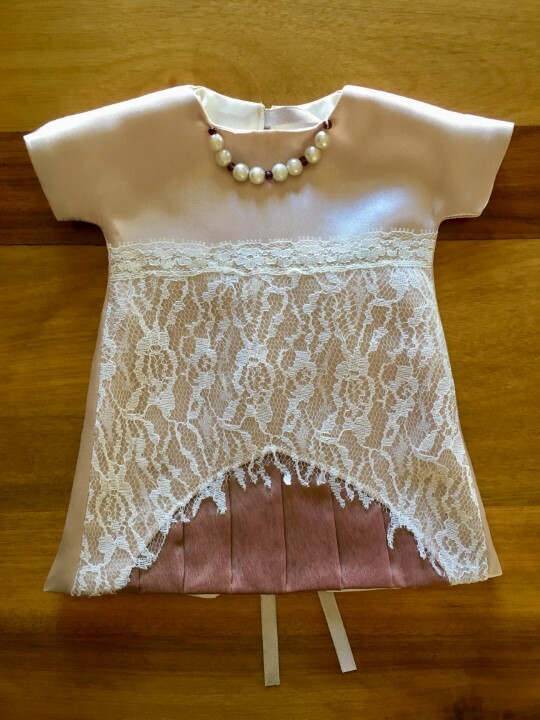 We were able to repurpose a total of 9 Angel Gown™ garments from her wedding gown. 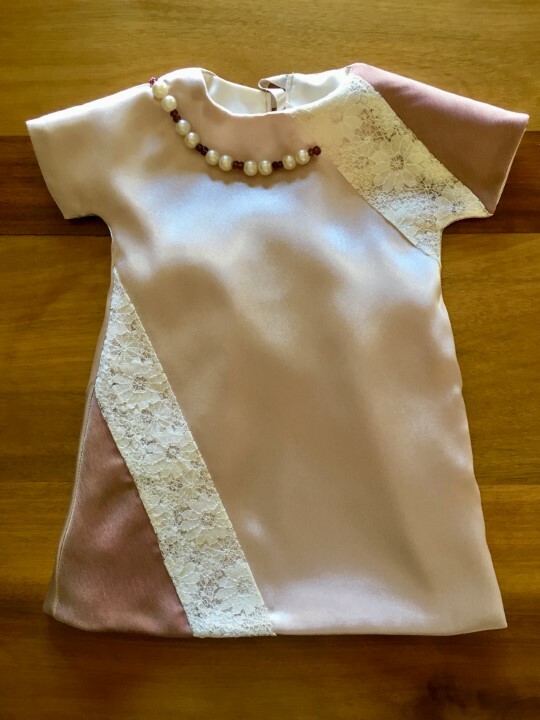 The lace was left over from the Ann‘s christening gowns. 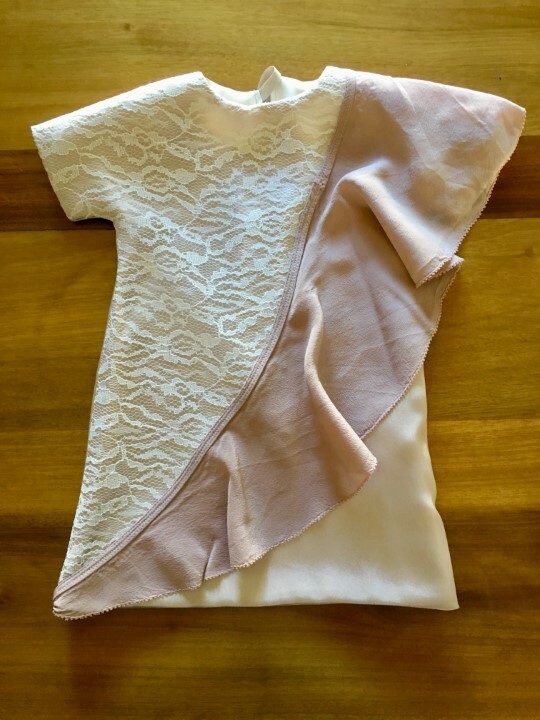 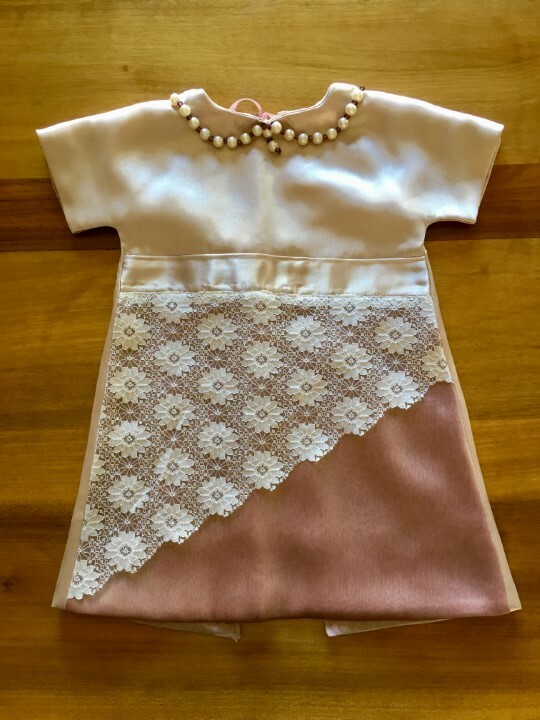 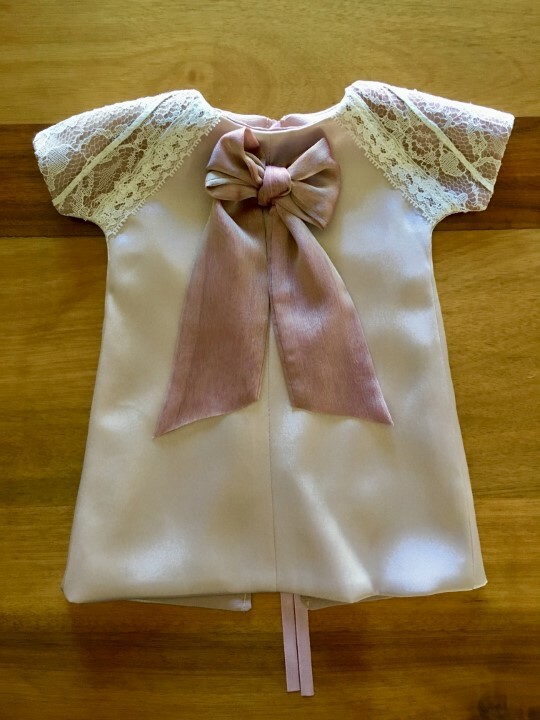 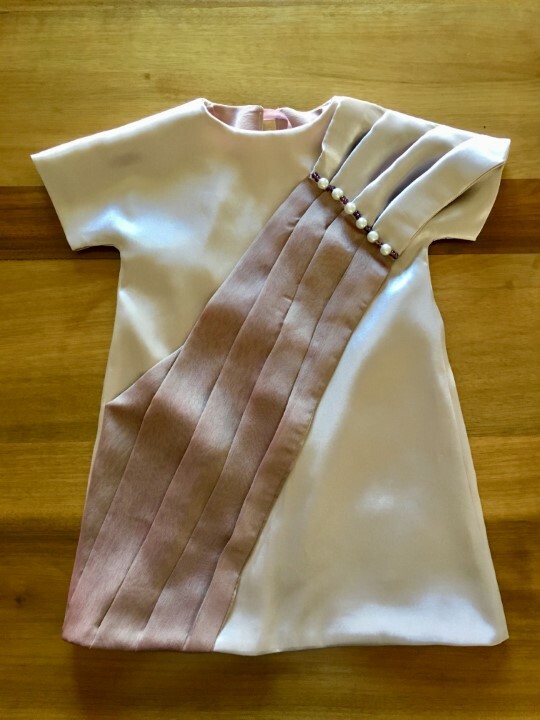 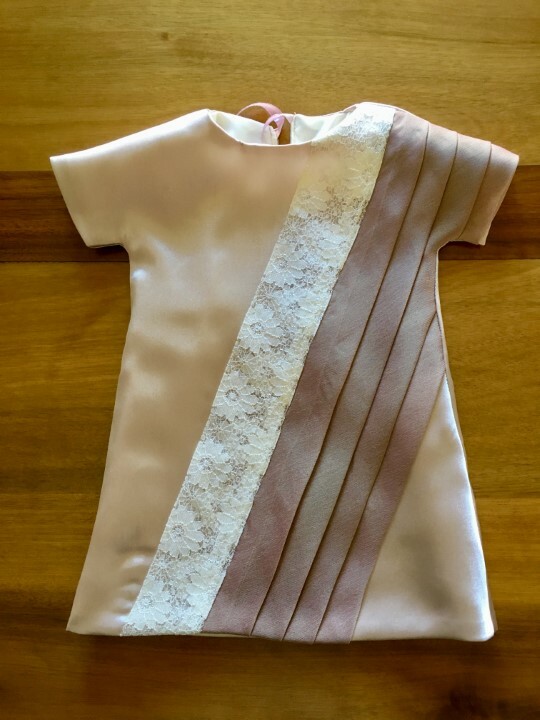 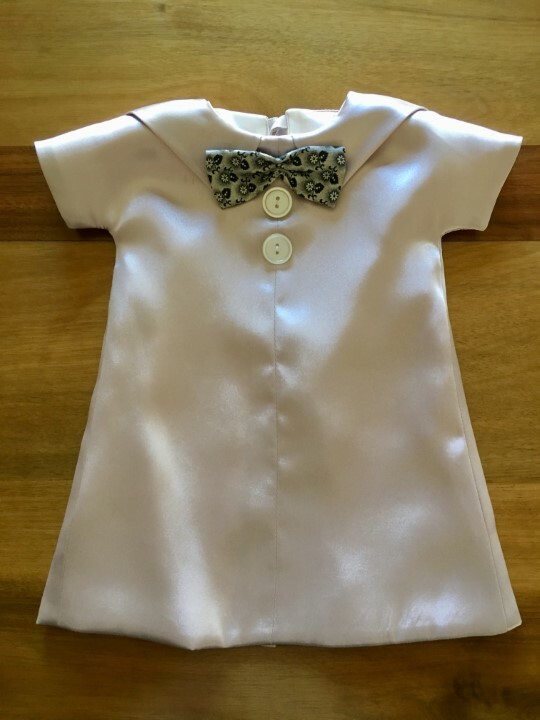 These Angel Gown™ garments were lovingly made in honour of Jacqui’s angel baby, Owen. 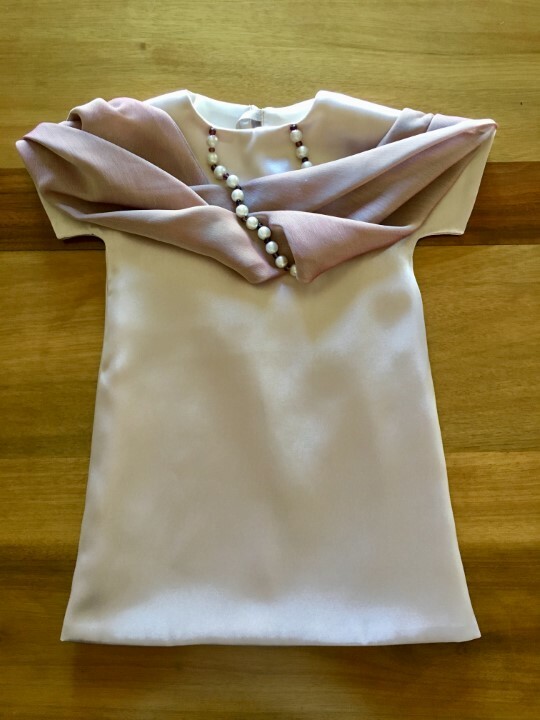 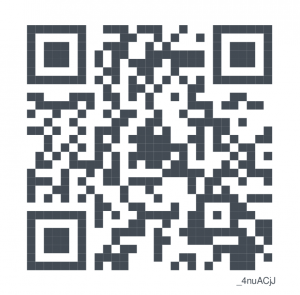 Thank you Jacqui for donating your wedding gown to us!